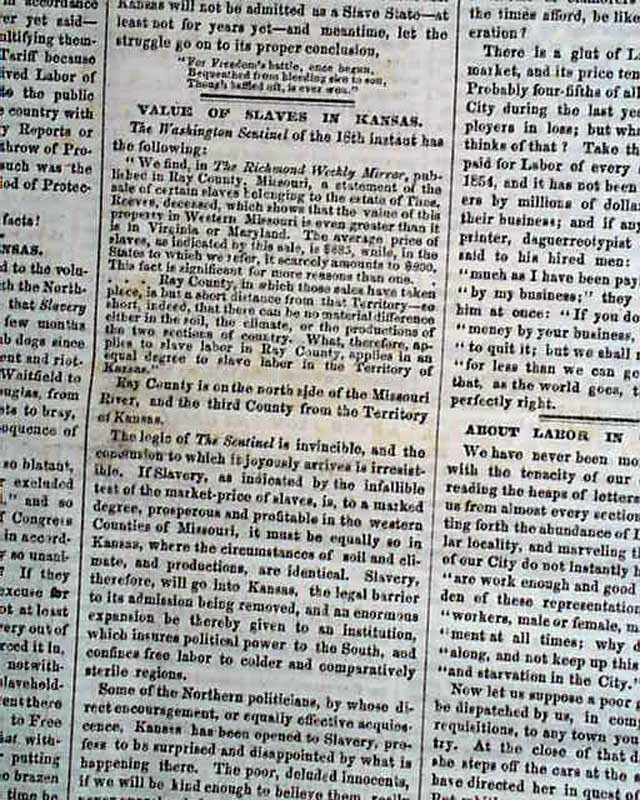 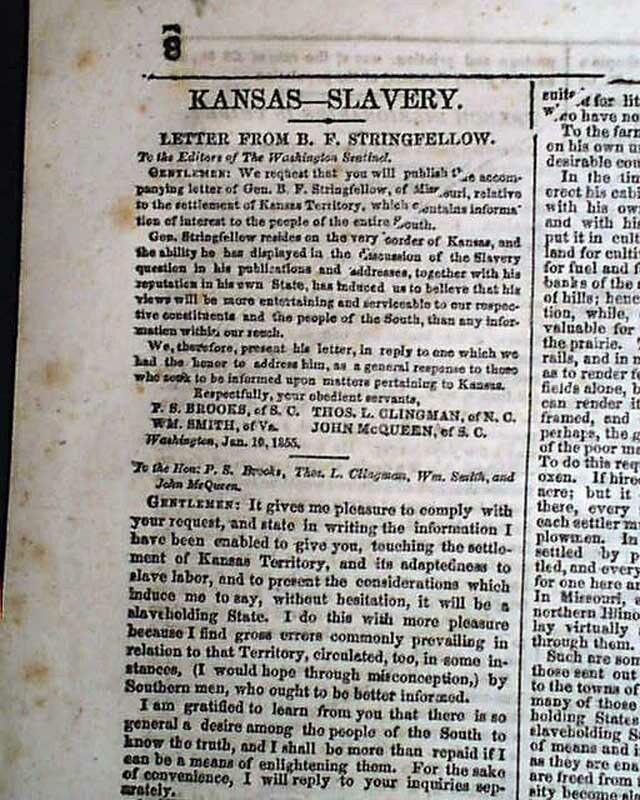 NEW YORK SEMI-WEEKLY TRIBUNE, January 30, 1855 This issue has numerous slavery-themed articles throughout, particularly in regards to the events in Kansas (see images). 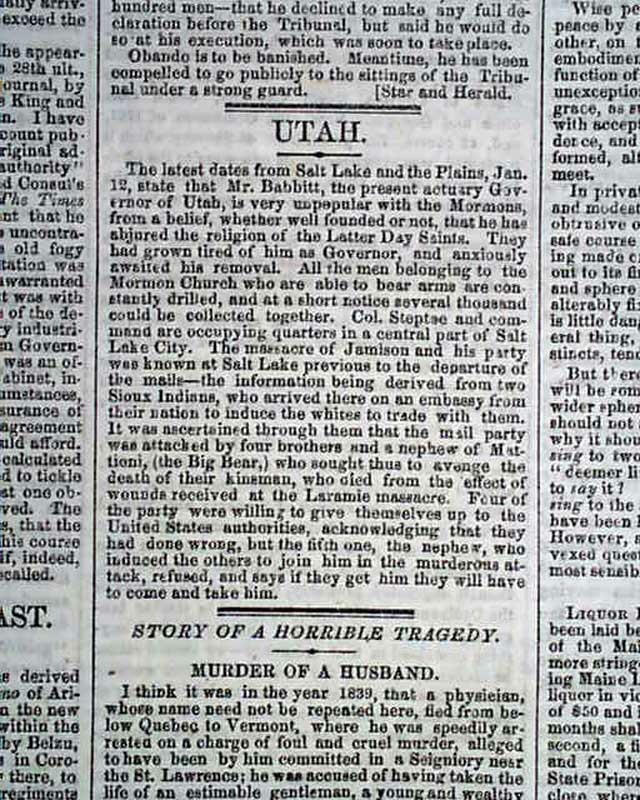 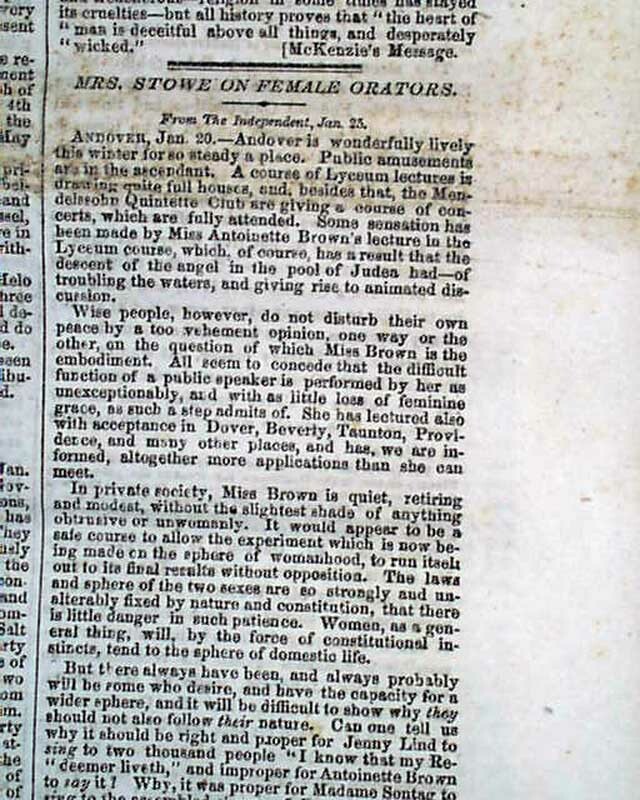 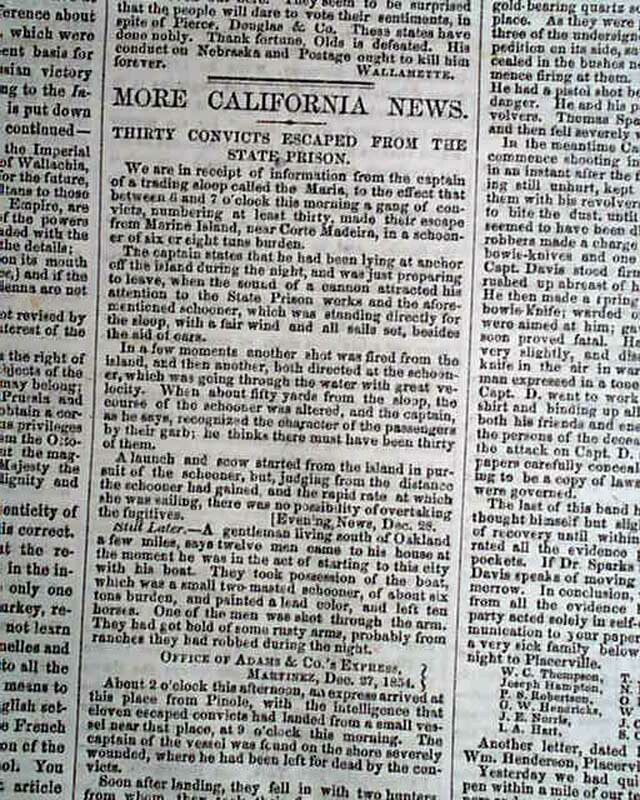 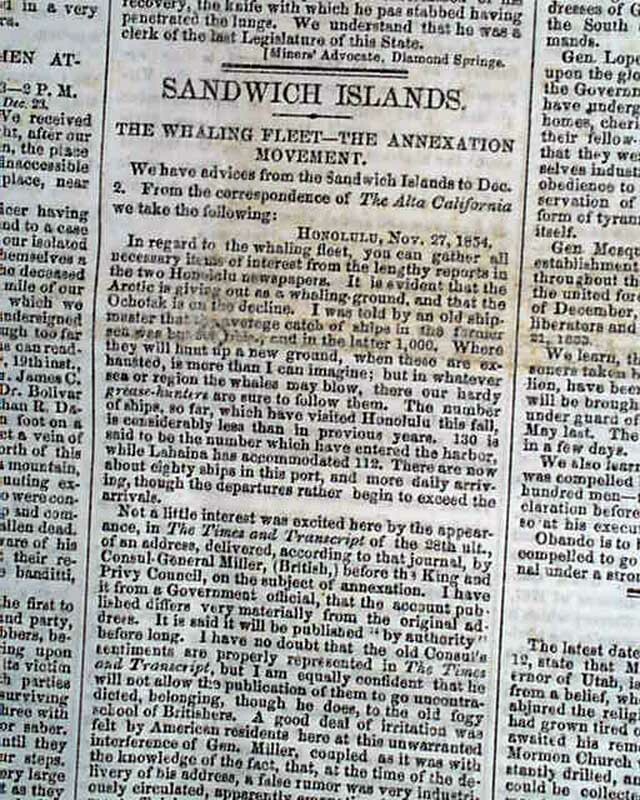 Also included are articles describing prisoners escaping from the State prison on Marine Island, reports from the Sandwich Islands, another from Utah describing the tension between Mormons on the governor of the state of Utah, and yet another written by Harriet Beecher Stowe. 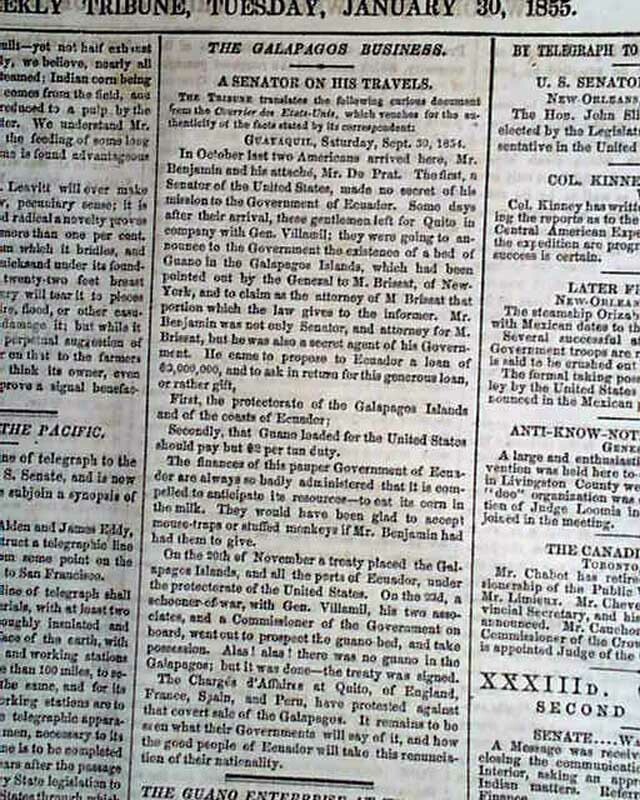 Finally, an inside report describes how Ecuador tricked the United States into signing a treaty in which the U.S. would provide protection of Ecuador's ports and the Galapagos Islands in exchange for access to the supposed endless supply of guano on the Galapagos Islands for a bargain. 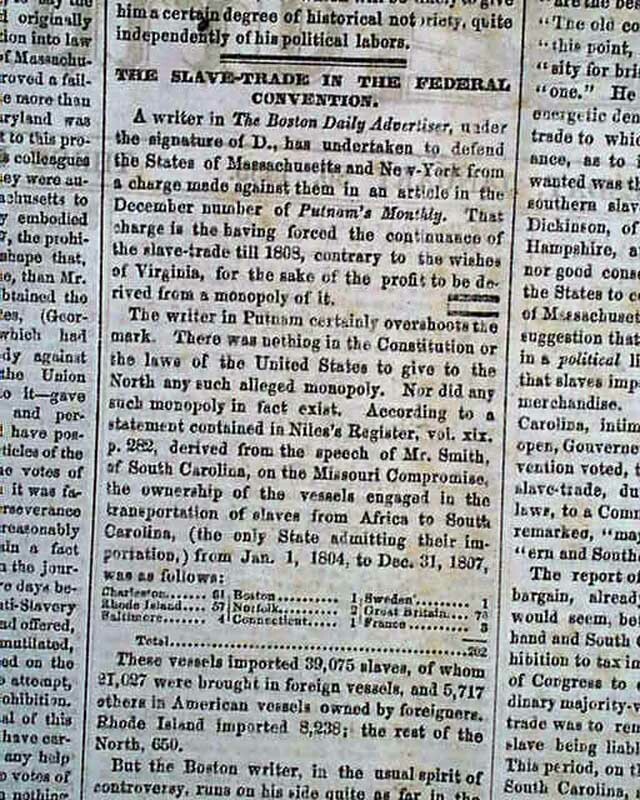 Ecuador produced samples of the highly potent bird and bat dung which motivated the U.S. to sign the treaty. 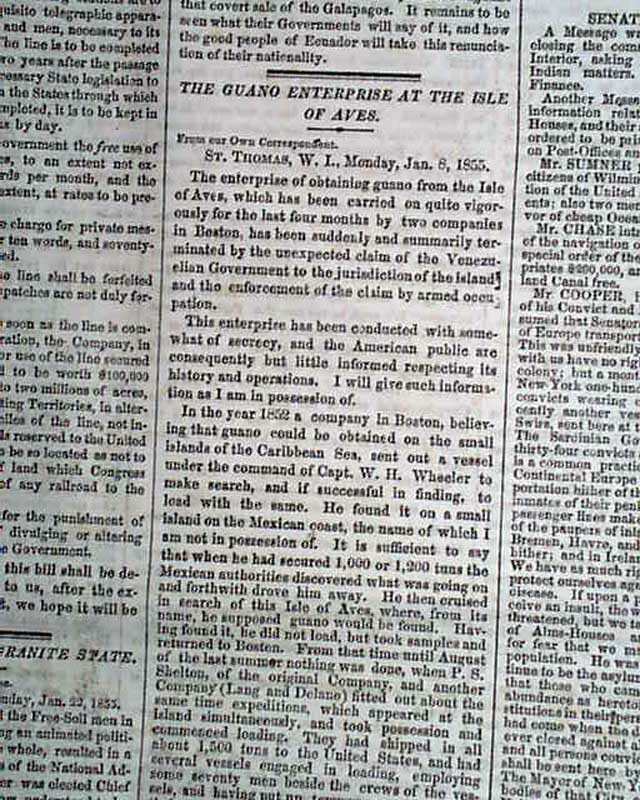 Later, upon investigation, it was found that the tons upon tons of guano was simply a pile of hooey - that is, nowhere to be found - but the treaty had already been signed. 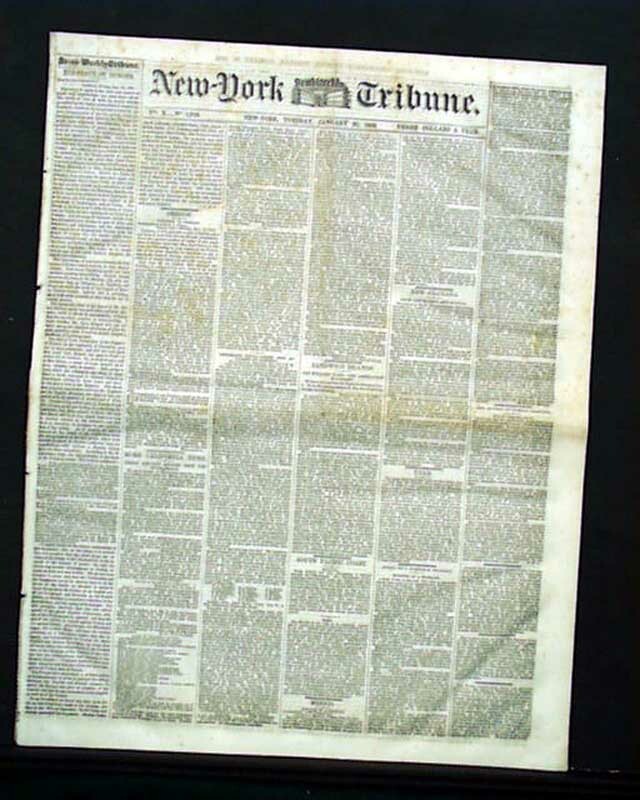 Complete in 8 pages, a minimal amount of rubbing at a fold juncture (see photos), nice condition.